Sold in packs of two, each tray comes with 56 articulated catches and gutters to restrain the fluid from sloshing out, so all that oil, coolant and muck stays neatly contained within individual compartments, even when carried or bumped. A smart, black color scheme hides the appearance of stains and blemishes. 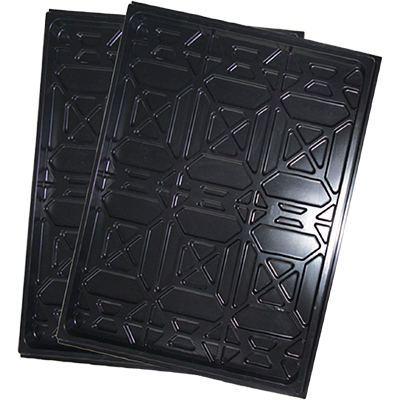 Interested in the Plastic Drip Trays?